Canada's multicultural society has shaped its Jewish community. 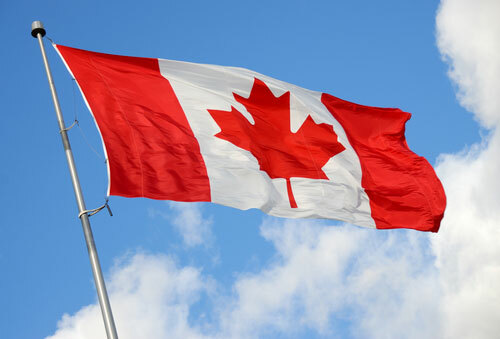 Canada has the fourth largest Jewish community in the world, following the United States, Israel, and France. Its population, currently numbering 372,000, is concentrated mostly in Toronto (175,000) and Montreal (80,000), with smaller communities in Vancouver, Winnipeg, Ottawa, Calgary, Edmonton, and other cities. Canadian Jews are well-educated, relatively affluent, and maintain a vibrant cultural and communal life. The first Jewish arrivals in Canada were members of the British Army, fighting in the Seven Years War (which won Canada for Britain in 1760). Prior to that, King Louis XIV had decreed that only Roman Catholics could enter New France (as Canada was known) leading to an official absence of Jews in the colony. In 1829 the law requiring Canadians to take an oath as Christians was amended to make an exception for Jews, and in 1831 male Jews were given full political and religious rights. In 1850 the Jewish population in Canada was only about 450; in 1871, Canada’s first census recorded 1,115 Jews. With the onset of the pogroms in Russia in the 1880s, rising anti-Semitism throughout Europe, the outbreak of World War I, and Canada’s post-confederation development efforts, many European Jews fled to Canada, bringing the Jewish population of Canada to over 155,000 in 1930. Most of the immigrants who settled in Montreal or Toronto started out as peddlers but eventually established businesses, playing a leading role in the development of the textile industry. Jews who settled in the west were storekeepers and tradesmen and developed the fishing industry. Some Jews attempted to establish farms on the prairies, though most of these were unsuccessful due to the farmers’ lack of experience. Following World War I, Canada changed its immigration policies, restricting the entrance of people who were not white Anglo-Saxon Protestant or from the United Kingdom. Following the Great Depression, even more immigration restrictions were imposed, derived, in part, from racial and religious prejudice. Despite attempts by the Canadian Jewish Congress, working alongside the social democratic party (the CCF), to enable the Jews of Europe to find sanctuary in Canada, Canada generally denied entrance to Jews, allowing fewer to enter than did other western countries. Of the tens of thousands of Jews seeking refuge during World War II, only 5,000 were allowed into Canada. Canada relaxed its immigration policy after the war, enabling some 40,000 Holocaust survivors to attempt to rebuild their lives there. In addition, thousands of French-speaking Jewish immigrants leaving colonial North Africa in the 1950s settled in Montreal and Quebec City, Francophone cities where they could adapt more easily. Between 1941 and 1961 the Jewish population in Canada grew from 170,000 to 260,000. The Multiculturalism Act (an act for the preservation and enhancement of multiculturalism in Canada), passed by the Trudeau government in 1971, provided further advancement for Jews and other minorities. Jewish immigrants to Canada brought with them a tradition of communal life and developed a wide range of voluntary organizations and groups. Wealthy Jews who had arrived in Canada prior to the European refugees founded philanthropic organizations such as the Quebec Hebrew Relief Association for Immigrants and the Hebrew Philanthropic Society. The Canadian Jewish Congress (CJC), established in 1919, merged several smaller organizations. The CJC worked on behalf of Jewish immigrants and attempted to advance the interests of Jewish Canadians. As a general rule, Canadian Jews retain a stronger Jewish identity than their American counterparts. Canadians provide their children with a more intensive Jewish education (55% of Canadian Jewish children attend Jewish day schools, versus 29% in the U.S) and have stronger ties with Israel (66% of Canadian Jews have visited Israel at least once, compared with 35% of American Jews). Canadian Jews are more traditional, as well. Forty percent belong to Orthodox congregations and 40% are Conservative Jews. Only 20% affiliate with the Reform movement. Though there are concerns regarding assimilation, the rate of intermarriage is far lower in Canada (35%) than it is in the U.S. (54%). Canadian Jews have distinguished themselves in the fields of science, law, medicine, politics, and the arts. Some of the most famous Canadian Jews have been writers, among them Irving Layton, Mordechai Richler, and Cohen. Due to the absence of the American melting pot concept, Jewish Canadian writers also differ from their American counterparts. “Jewish Canadian poets in the whole,” notes author and critic Seymour Mayne, “are recognizable by their emphasis on the human dimension, the translation of the experience of the immigrant and the outsider, the finding of joy in the face of adversity, the linking with tradition and the concern with history in its widest sense.” Striving to find words that echo more than the individual’s need, they seek a communal language, using words “that speak to and for the community, whether they relate to the everyday or the eternal,” invoking the presence of ancestors and tradition. The Montreal Jewish community has been defined by writer Howard Roiter as “one of the last collective Jewish experiences surviving in North America.” The Jews of Montreal form a unique community, quite distinct from Canadian Jewry as a whole and from Toronto Jews in particular. While Toronto has a larger population of Jews, and the Jewish community there is more affluent, the Montreal community has a stronger cultural and institutional life. Contributing to the unique nature of the Montreal Jewish community are, in poet Irving Layton’s words, the “three solitudes.” “You had three ghettoes, you had three peoples, the Anglos, the French Canadians and the Jews and they peered at each other over these walls.” The sense of uncertainty regarding the place of Quebec in Canada, and French Canadians’ preoccupation with survival within Anglophone society, brought the issues of language and culture to the foreground of national consciousness, strengthening the ethnic or cultural dimension of Montreal Jewish identity. Anti-Semitism: Should Canadian Jews Be Concerned? The Jews of Canada have been confronted with anti-Semitism since the community’s inception. Anti-Semitism was manifested in quotas, discrimination in employment, education and public facilities (such as restaurants, clubs, and hospitals), and restrictions in land purchases. Since the establishment of the State of Israel in 1948, anti-Semitism in Canada has been linked to the Arab-Israeli conflict and to anti-Israeli sentiments, linking Israel and Jews, Zionism and Judaism. Canadian Jews have been referred to as “cultural negotiators.” Weinfeld notes that in many ways they have been successful in achieving the twin goals of multiculturalism, “on the one hand, participating in Canadian life in all its dimensions: education, occupation, politics, culture; and on the other hand, retaining a fairly strong sense of their own identity and culture.” This is a complex balancing act, requiring reconciliation between traditional practices and modern attitudes. Canadian Jews embody both Judaism and Jewishness–the religious and the ethnic-cultural components that comprise Jewish life–continuing to renew Judaism and impact Jewish culture, continuity and community, while contributing to Canadian society as a whole.